Economically, it is one of the largest exporters of petroleum and founding member of OPEC. The politically and economically dominant landowning class is mainly of Spanish descent. About 65% of the population is mestizo, while the indigenous tribes of Venezuela form a majority. Spanish is the official language. There is no established church, but nearly all Venezuelans are Roman Catholic. Venezuela is home to the world's highest waterfall and addressed as one of the mega diverse countries in the world due to its extraordinary collection of wildlife species and vegetation. It is the northern most country of the South American continent with a vast coastline open to the Caribbean’s and the Atlantic Sea. Apart from this saline water northern frontier, the other sides of Venezuela are bordered by Colombia to the west, Guyana to the east, and Brazil to the south. Geographically Venezuela is a land of vivid contrasts, with four major divisions that consist of the Venezuelan mountainous regions by the Caribbean Sea, the coastal Maracaibo lowlands on northwest, the central fertile basin of the Orinoco River, and the Guiana Highlands on the south. 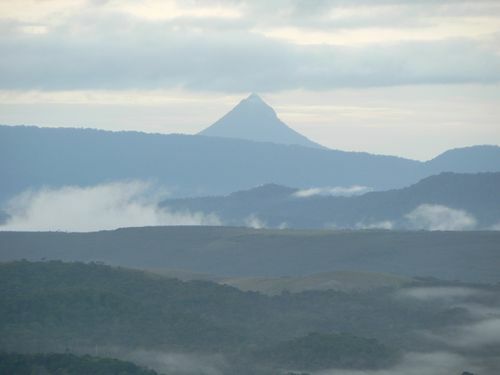 The Venezuelan mountains are basically an extension of the Andes and further to the southwest they rise to their greatest height at Pico Bolívar. This region is the political and commercial hub of the nation nestling all the major cities, including the capital of Caracas. The lowlands around Lake Maracaibo are the most economically vital region with rich petroleum treasure fields. The Orinoco, one of the great rivers of South America and its great pastoral area is popularly know as the llanos. The llanos are vast and hot plain, situated on the north of the Orinoco and about the Apure River. There is a great cattle industry in this region and the rich valley of Lake Valencia. The Guiana Highlands are an almost inaccessible and largely unexplored wilderness down south. 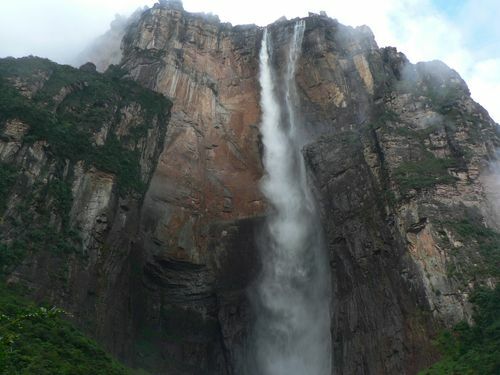 They occupy more than half of the national territory and are noted for scenic wonders such as Angel Falls. Spread over an area of 912,050 square kilometres, Venezuela has several islands under its jurisdiction. Margarita Island is the largest of the Venezuelan islands. Venezuela experiences different climatic conditions according to the topographical diversity of the country. The climate is basically tropical with cooler temperatures in the highlands. The coastal lowlands are exceedingly hot, but the temperature dips abruptly when you take ride up to the altitudes towards the Andes. The seasons of Venezuela are broadly categorised as summer and winter where the winters are dominated by heavy rainfalls from May to November. Venezuela established its permanent identity in the political map of the world after it emerged independent from the segregation of the Gran Colombia in 1830. But the history of Venezuela preceding this date is influenced by the European explorers like any other country of the South American continent. The Arawaks and the Caribs were the earliest inhabitants of Venezuela until Columbus discovered the Venezuelan shores in 1498. Formally, the mainland of the country was explored by Alonso de Ojeda and Amerigo Vespucci a year later after Columbus touched it. The Spanish colonisation of Venezuela began in the 1520s and the invasion spread smoothly to the mainland except some occasional spurt of oppositions from the locals. Soon, by middle of the century, Venezuela was inducted under the viceroyalty of New Granada and came to know as the New Andalusia. The present day capital city of Caracas was founded in 1567. A prosperous phase went on with healthy livestock business and mining but most of the Venezuelan population became slave to the Spanish rulers. In between these days, the country faced another round of, brief but significant, invasion attempt from the German adventurers. The foreign reign of nearly three centuries on Venezuelan territories came to an end with leadership of Simón Bolívar, who led the liberation movement from Spain. In fact, Venezuela was one of the first South American colonies to revolt in 1810 that finally declared independence on July 5th 1811. Bolivar’s passion for independence was not limited to his own country limits but he went on to help Colombia, Panama, Ecuador, Peru, and Bolivia. The Republic of Gran Colombia was a conglomeration of Colombia and Ecuador along with Venezuela that remained till the first few decades of the nineteenth century. Following a series of political differences, Venezuela liberated itself and became an independent republic. From the middle of the nineteenth century, a period of unstable dictatorships marked the historical and political scenario of Venezuela. Antonio Guzman Blanco governed from 1870 to 1888, developing an infrastructure, expanding agriculture, and welcoming foreign investment. Venezuela became a major oil exporter under the dictatorial rule of Gen. Juan Vicente Gómez from 1908 to 1935. This was followed by a military and leftist order of authority. A well-known writer, Rómulo Gallegos, candidate of Betancourt's party, became Venezuela's first democratically elected president in 1947. The much required stability and integrity in the system were established in 1958 and, since then, Venezuela has been one of the most stable democracies in Latin America. It later became a member of the South American Community of Nations (SACN). Venezuela’s economy glitters with hefty revenue generation from the petroleum industry. It has proved to be the ‘liquid gold” in true sense for the Venezuelan national balance sheet that is largely dominated by this natural product. Petroleum contributes a healthy share of the gross Domestic Product and the national foreign exchange treasury is enriched on the basis of it. Venezuela is the largest foreign supplier of oil to the United States and the government uses oil revenues to stimulate growth in other industries of the country. Venezuela is also one of the initiators to form the OPEC to fight the menace of volatile domestic and international oil prices. Petroleos de Venezuela is the official government body that takes care of the planning, distribution, export policies and production details of petroleum and its products in the country. However, amazingly, the Venezuelan petroleum sector absorbs only two percent of the labour force. Here chips in the importance of agriculture in the country. It may not provide more than half of government operating revenues like petroleum but definitely gives the required mass support to the economy. Coffee and cocoa are the main export products and corn, sorghum, sugarcane, rice, and bananas are also produced. Other industries like iron ore, steel, aluminium, construction materials, motor vehicle assembly, service, textiles and food processing, employ just over twenty percent of the working population. The economy’s major setback till date came in the eve of the 21st century following a nationwide strike called by the oil workers of the country. But the fiscal depression recovered by 2004. Venezuela, along with Brazil, Argentina, Paraguay and Uruguay, is a member of the Mercosur, an organisation in line with European Union. Mercosur is basically a trading zone shared by the above-mentioned countries to promote free trade and the fluid movement of goods, people, and currency. Venezuelan financial set up has enriched a lot from this. Venezuela preserves a bizarre history of political backdrop where the once dismantler of democracy is elected to rule the country. It happened in 1992, when military personnel Hugo Chávez, attempted a coup to remove the then democratically elected president, Carlos Andrés Pérez. Although the coup was not successful but the population of Venezuela in 1998 elected Chavez as the president of the country. Today, Venezuela is federal republic governed under the 1999 constitution. Chavez’s election was one of the motivating factors that led a Constituent Assembly to write the new constitution, which was approved by a referendum. Venezuela is now run by a president-led executive set up. The president is elected for a six-year term through universal suffrage and may be elected to a second term. He enjoys the power to appoint the vice-president and his cabinet ministers. But the decision to determine the size and composition of the cabinet requires a positive nod from the country legislature. The legislative body of the country is composed of the unicameral Venezuelan parliament known as the National Assembly or Asamblea Nacional. The assembly is constituted of 165 members who are directly elected to for tenure of five years. They have the authority to reject any objectionable proposal or reform related issue forwarded by the president of Venezuela. No member can run for elections after two consecutive years in the assembly. Venezuelan judiciary system operates independently under Supreme Tribunal of Justice or Tribunal Supremo de Justicia, the highest judicial body in the country. The judges of this court serve a 12-year term in office after being elected by the Consejo Nacional Electoral. In the past few years, the Venezuelan politics have been marred by events of mass protest and election boycott against the near-authoritarian rule of President Chavez. Administratively, Venezuela consists of 23 states, a federal district, of which Caracas is a part, and a federal dependency including 11 island groups.